Le Zoo is run by a collective called «Association L’Animalerie», which exists since 1999 and occupies a space that situates itself on the first floor of l’Usine. Ok, but what’s the idea? L’Usine is a self-managed cultural centre located in the building of what used to be Geneva’s gold melting and polishing factory - which the City made available in 1989 after giving in to the collective Etat d’Urgences’ demands to use the space for artistic and socio-cultural activities. L’Usine is composed of 18 collectives who run various space within the same building. Le Débido was the first structure to settle in on the first floor, across from the Moloko. It was a café, a brasserie, a meeting-place and a party venue, known for its «Thés Dansants». In 1999, Le Débido gives place to the association l’Animalerie wich will give rise to Le Zoo as we know it. Le Zoo represents 19 years of history, more or less 60 members, over 300 artists each season, electronic music, light shows, VJ-ing, an original scenography every week and above all the principles of self-managed and self-financed art spaces. Self-management is the will to manage a collective horizontally, without a pyramidal structure. One voice= One vote. It’s the will to erase the cleavage between the directors and the directed, on a financial, political and ideological level. In a nutshell, self-management requires a lot of self-discipline, initiative, meetings and discussion to get to a consensual agreement and move forward together. Self-management goes hand in hand with self-financing. A management based on self-financing requires a lot of motivation, commitment and, depending on the activity, a lot of volunteer work. That being said, Le Zoo has always refused to view cultural activities through the prism of profit and has always tried to promote culture and arts that are accessible to all, showcasing emerging electronic music and digital art. In Geneva and all over the world, it has become more and more difficult for cultural actors to promote emerging cultures in a world following a market logic. 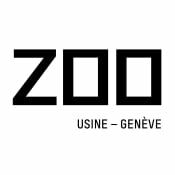 Le Zoo and many other places and collectives based in Geneva have fought for many years and are still battling to maintain their existence. The reality of things isn’t the same as 20 years ago; our costs keep rising but our prices haven’t changed. Also, the technical equipment we need to be able to change our installations every week requires a big investment for its maintenance, fixing and replacement. Geneva isn’t the squatting capital that it used to be. However, the seeds of that time have bloomed into a generation of activists scattering a flock of beautiful projects, which run on a strict basis of non-profit. L’Usine and Le Zoo, among many others, hold this legacy. It is becoming more and more difficult for Le Zoo to maintain its activty as it is. Despite drastic changes made within the collective – not replacing a member of the technical staff, wage cuts, budget cuts and more volunteer work- it is becoming harder and harder to continue our activities on our own. Increasing our prices prices isn’t an option for us without betraying our will to be accessible. There is, however, one option left. We call on those who have made it possible for us to be what we are today, in other terms - you: yesterday’s audience, tomorrow’s raver, electronic music aficionados, artists from all horizons, advocates of thinking out of the box, lovers of this place. Together, we will be able to continue offering crazy nights at Le Zoo. The money will pay for necessary technical equipment to maintain our activities. Add to that the cost of what we want to give you in return for your support, as well as the platform fees, we get a total of 35 000 francs. We hope to finance 70% of it through this crowd-funding project and the other 30% with our own funds. Indirectly, by helping us to get the funds needed, you will also help us in maintaining the work conditions of our team, hold on to our values, our independence, and to keep on promoting a rich and various artistic program. A big thank you, your name on one of le Zoo's pillars, a free entrance to the "Zoo All Stars" closing party on the 29th of June, a random A2 poster of the monthly program of le Zoo, two free entrances to any event organised by le Zoo, two welcome shots, a screen-printed T-Shirt, a disco ball and an invitation to come and meet us. We'll show you around the building and you'll even get a free coffee, fancy! The Zoo's primary goal is to promote electronic music in all its diversity as well as visual arts such as VJ-ing and scenography. The collective promotes a wide palette of styles within electronic music and plays an important role in developing the local scene.